Achieving Spatial Coordination Through BIM – A Guide for Specialty Contractors  to help MEP contractors reconcile and incorporate leading edge technologies and processes into their projects’ spatial coordination efforts. Hololens Project  - MCERF underwrote a project wherein Iowas State intern Joe Hines who was hired by Waldinger Corporation of Omaha, NE to develop ideas and uses for Mircrosoft's Hololens product to aid the mechanical contracting industry. 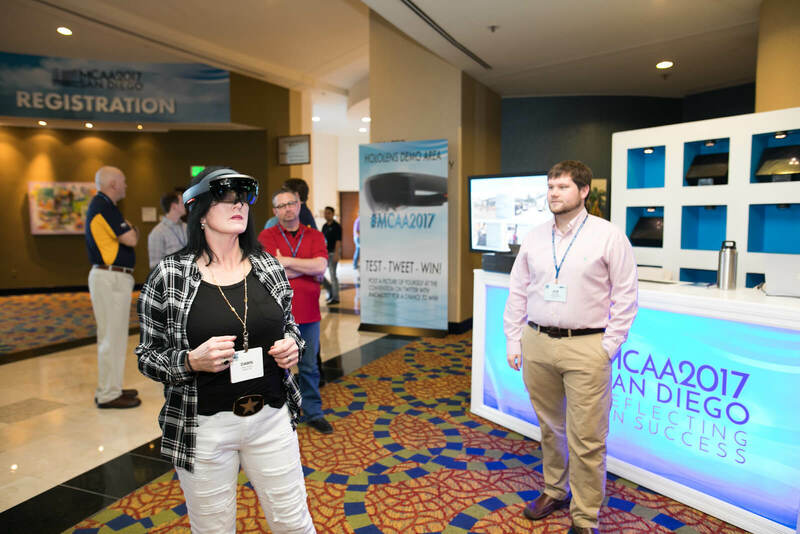 Hines demonstrated his findings and the use of Hololens at MCAA 2017 in San Diego , CA and made his finding available in a white paper. Building a Successful Internship Program . Developed and contributed by Dr. Mostafa Khattab, Department Head, Construction Managment Department at Colorado State University. Internships are an opportunity to identify and evaluate potential full-time hires for your organization. Dr. Khattab shows how building a structured internship program will provide the opportunity for MEP firms to recruit talented students and provide a flexible, cost-effective labor force without a long-term commitment. MCERF's Online Piping and Useage Specification product, or OPUS , was the result of a Foundation research project to see if its venerable core body of knowledge publication, the Guideline for Quality Piping Installation, could be converted to and formatted for a more modern online delivery. That was 2005...and the rest is history!